Just load up the playlist in the Music app and tap on the pencil icon ( ) in the top right corner to enter "Edit" mode. Once that happens, you will see an X next to each song in the playlist. 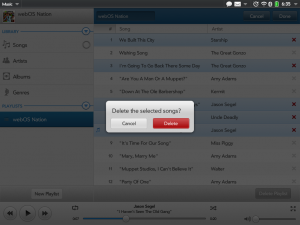 Tap the X to highlight all the songs you want to delete and then press "Done".